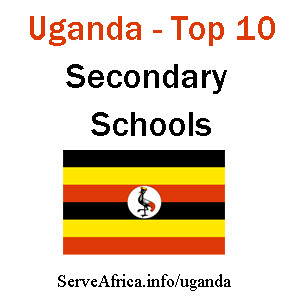 We are pleased to announce our Top 10 Secondary Schools in Uganda. Along with six schools that deserve honorable mention. These schools, although not making the official top ten list are deserving of mention for their strong performance. We are pleased to include them all to the list and commend them all for good years. Each of these 16 schools are now included in our online Poll. This poll helps us assess public perception surrounding a school. Tell us what you think of your school. Your participation helps actual student opinion play a significant role in our rankings. Also we have added a link where viewers can understand better how the rankings are developed and where readers can submit information or updates on a school notable achievements. This data will be included in help compile next years rankings. Please submit and verify your schools advancements over the next year. A private girl’s school in Kampala District from senior one to six. Christian missionaries belonging to the Church Missionary Society of England founded Gayaza High School in January 1905 with four students. By July 1905, the number of students had grown to 43. The land was donated to the Church then by Kabaka Chwa II. It is a mixed day and Boarding Secondary School with Ordinary and Advanced Levels of education. Namilyango College is a boys-only boarding middle and high school located in Mukono District in Central Uganda. London college of St Lawrence is renown for outstanding academic excellence, sports success, all round education and a significant contribution to our alumni network. London College is also the home of our Annual Multiple Show- a militaristic parade mounted by the citizens of the St Lawrence Academy, Schools and Colleges. We have been given the impetus to become the leading private secondary school in the country, posting excellent results in the national examinations. At Namugongo we are moving from a good school to a great family of God as we struggle to maintain our culture of academic excellence. The school’s aims and objectives are; to pass out academically excellent students, who are God fearing and imbued with leadership skills. On the academic front our students pass their ‘Ordinary’ and ‘Advanced’ level examinations with distinction. ‘SMACK’ as it is popularly known, ranks first among its equals. Founded in 1906 by the Brothers of Christian Instruction, with Roman Catholic roots, the school celebrated its centenary in 2006. It has consistently produced well-balanced individuals in every professional discipline in the Arts, the Sciences, Business and Politics. Take the Student Satisfaction Survey – Tell us what you think of your school. Your participation helps actual student opinion play a significant role in our rankings. northern sch always have less facilities and lazy teachers especially drankard. Ntare has produced 2 current presidents, innumerable ministers,current head of East african community assembly, chief justice of Rwanda…….and many more prominent people even without voting it clearly is no.1 in Uganda….or even in East africa..
NAALYA SS NAMUGONGO is the best.